Lectures may work for some students on some topics, but many others need to connect to content differently for it to be meaningful. That might mean using accessibility tools to help struggling learners, engaging reluctant students through game-based learning, or challenging students to think critically through project-based learning. You don’t have to completely reconfigure your teaching model or flip your classroom though to reach all of your students. Sometimes you just need to present the same information in a new way to appeal to visual, auditory, kinesthetic, and tactile (VAKT) learners. Studies show visual learners make up about 65% of the population and that 90% of information is transmitted visually. It’s important to teach to your students’ strengths especially when the content may not be inherently memorable or engaging. So here are several tools you can use to reach visual learners (which have overlap with some other modalities as well). Unless you’re someone who’s chosen to spend the last several years living off-the-grid in a yurt (and, if so, what brings you here? ), you’ve probably seen a meme or two. Memes can be an entertaining way to introduce a variety of content. Classroom Rules – Rules are inherently boring and restrictive, so throw a meme on it to make it more engaging. Concept Introduction – Memes are contagious ideas, so make learning about the mean, median, and mode more memorable. Fill in the Blanks – You can start a meme on a topic and see the creative ways students find to finish it. ex. What if I told you the government is really ________. Theme Memes – Assign students a topic to generate memes around a specific idea. Here are 5 more ways ISTE suggests using memes with students. These can lead to collaboration if you set up a system for students to comment, upvote, and respond with other memes. There are a few tools you and your students can use to create your own memes easily. Meme Generator is amongst the most popular, but it requires setting up a login to create memes. Toonytool is easy to use and offers simple comic creation tools as well. My favorite though is ImgFlip which offers easy image searching and text generation. You can also create GIFs and pie charts. While applications like Nearpod and SMART Notebook have built-in collaboration tools and there is a shared feed in Google Classroom, there are other platforms where that is their sole focus. These are great for brainstorming, posing questions, KWL charts, or housing multimedia content information. Padlet – This is such an easy way to create a visual sharing space where students and teachers can post text, images, documents, drawings, links, and videos. They have a number of themes that you can start with. It’s free, but there is a subscription for bonus features like themes and search. The two downsides to this platform are that linking ideas are not as easy as in Popplet and that it can be visually overwhelming. Popplet – I really like the visual simplicity of Popplet and it offers many of the same features as Padlet. Linking ideas to create a concept map or related visualization is easy. Sharing and collaborating is not as easy though since collaborators must have a Popplet account. Both platforms allow sharing the content as a non-editable PDF. ThingLink allows you to take images or videos and enhance them with more information including notes, audio, questions, and other multimedia content. More recently it can be done with 360-degree images as well. Students can acquire visual presentation skills and communicate through digital storytelling across grade levels. Check out the examples of visuals of the human body, Of Mice and Men, or some virtual field trips. You can go to Thinglink support for more information. If you’re looking for fully free, you can do some of the same things using Google Drawings. Video content has long been a favorite way for teachers to breathe life into instruction. Whether with reel-to-reel, VHS, or streaming content, videos make content real for students. While Edison may have been way off about how one technology would change the school system, he was right that YouTube and Khan Academy are great knowledge equalizers whether you want to learn physics or to play the guitar. Watching a full movie though is usually out of the question and the struggle then becomes how do you make sure the video content remains instructional. There are some great educational video sites like BrainPOP, Flocabulary, or Discovery Education that have content and built-in assessments. Those require subscriptions that are out of reach for some teachers though. EdPuzzle allows teachers to take existing videos (either on YouTube, Vimeo, Khan Academy or elsewhere), edit them, and add content including voiceover and questions. Check out a subject/predicate example. They also offer online professional development courses and more EdPuzzle Resources. Sutori, formerly HSTRY, is the online timeline creation tool. It’s not just for history and social studies content though. You can add text, images, videos, questions, and other content. In fact, you could embed Thinglink images and EdPuzzle videos into your timeline. Then you can connect to Google Classroom or O365 or create classes to allow students to begin creating and sharing content and you can manage all of their work. You can create an unlimited number of classes with as many students as you want in a class. There are also a number of templates you can use to set up assignments for students. There are limitations on the free version where you can’t add the headings, quizzes, or audio, but it can still be effective visually. Here is an example about robotics and another about the 10 Amendments. For more information head to Sutori Help. I love infographics and the way they can visually distill complex connected information and make it digestible for the casual reader. Most of the platforms are fairly easy to use where you just drop various image and text elements onto the canvas and organize them. Info.gram – This one allows you to adjust the size of your graphics easily and has some animation features as well as embedded videos, charts, and maps. There aren’t a lot of images and icons though that make it as visually engaging. Piktochart – This one has tons of templates, icons, and backgrounds (though limited in the free version). You can even change the infographic mood, although it did get glitchy on me sometimes. That may depend on what browser you use though. Check out an example infographic about teachers. Easel.ly – This is probably the easiest to use and though it offers a bunch of add-ins, the templates were limited and making one from scratch is a bit more labor intensive. 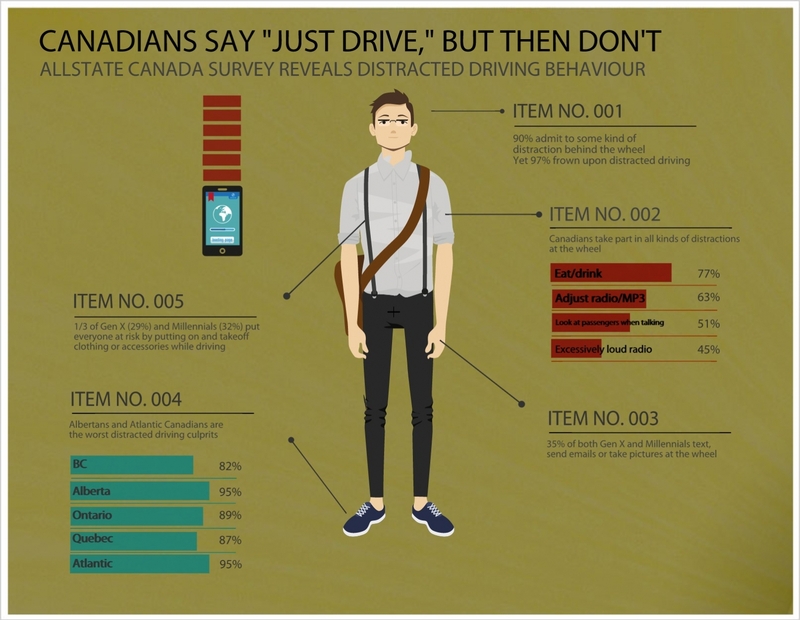 Here’s an infographic on distracted driving. Given the long history of chalkboards and PowerPoint, you probably aren’t looking for a new way to present content. Prezi is an interesting tool that I used for a while that was much more visually engaging than basic slides. Recently though I have found Sway to be an easier to use and more worthwhile way to present content to students. Yes, you can easily insert photos, videos, audio, charts, and more. You can also create blogs, e-portfolios, or quickly shift to a number of other layouts. Examine the Sway for Education to see both what is possible and see a number of examples for students and teachers. Videos can be an even more powerful medium when we can use them to connect with students and encourage them to find their voice. That’s why I’ve discussed the power of using Flipgrid, a video platform that allows you to use video to inspire student collaboration. Students can connect and respond to you and each other, you can create and score them via rubrics, access text copies of student audio, and adjust the privacy as much as you want. You can even combine it with other apps like Apple’s Clips to further the inspiration. Previous Post What’s New With Nearpod?